Which of the following has the most sugar? Answer: Coca-Cola. Classic Coke has 140 calories and 39 grams of sugar per 12 ounces. Second on the list is Tropicana orange juice, which has 165 calories and 33 grams of sugar per 12 ounces. (Note: an OJ serving is usually considered to be 8 ounces, but to compare we used 12 ounces). The yogurt has 150 calories and 26 grams of sugar. One Kit Kat (1.5 ounces) has 210 calories and 21 grams of sugar. Daily needs: This is a bit tricky. For “Added Sugars” the American Heart Association (AHA) recommends no more than approximately 6 teaspoons of sugar for woman (24 grams per day), and 9 teaspoons for men (36 g per day). Here’s the tricky part. The recommendations are only for “added” sugar; there are no clear recommendations for total sugar. The food industry in the U.K. has created Guideline Daily Amounts and suggests no more than 90 g, or 22.5 teaspoons, of total sugar per day. This includes foods that naturally contain sugar, such as milk, fruit, vegetables and grains. Which food has the most fiber? Answer: Pistachios have the most, with 12.7 grams. Avocados are a close second at 9.8 grams. 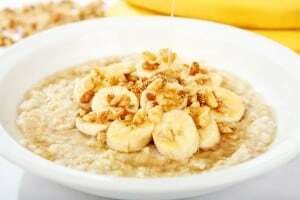 Oatmeal has 4 grams per cup, and strawberries weigh in at 3.3 grams per cup. Daily needs: 30 to 38 grams for men and 21 to 25 grams for women. Why it matters: Fiber is loaded with health benefits. It reduces your risk of heart disease and diabetes and lowers cholesterol. Plus, foods with fiber help to keep you fuller longer. Which food has the most potassium? Answer: Cooked spinach has 839 milligrams. Apricots have 427 mg. Honeydew has 404 mg, and sweet red peppers have 314 mg. Other sources include raisins (1,086 mg of potassium per cup), potatoes (1,081 mg), bananas (537 mg) and, yes, even cucumbers (442 mg each). Why it matters: Potassium is necessary for muscle contractions (including your heartbeat), transmission of nerve impulses and the regulation of fluids and electrolytes. Diets rich in potassium blunt the adverse effects of salt on blood pressure (one in five Americans has high blood pressure), may reduce the risk of developing kidney stones and may decrease bone loss. More than 90 percent of Americans are not meeting their recommended daily needs. Which food has the most iron? 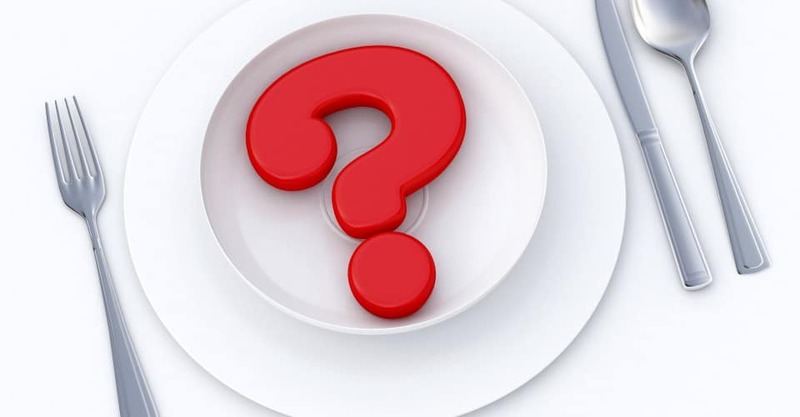 Answer: Asparagus has 2.87 mg; one large cooked egg has 0.90 mg; the salmon has 0.88 mg. and Brazil nuts have 3.23 mg. Other sources of iron include cooked spinach at 6.43 mg per cup, chickpeas at 4.74 mg per cup, clams at 23.77 mg in 3 ounces, black beans at 3.61 mg per cup and prune juice at 3.02 mg per cup. Daily Needs: Men should be getting 8 mg per day and women 18 mg. This recommendation is for 19 to 50 years of age. After age 50, men and women should be getting 8 mg.
Why it matters: Iron is an essential component of hemoglobin, which carries oxygen in the blood, and myoglobin, which carries oxygen in muscle tissue. It also helps regulate cell growth and differentiation. Many women are deficient in iron. If you don’t get enough, the deficiency limits oxygen delivery to the cells, resulting in fatigue, poor work performance and decreased immunity. Which food has the most magnesium? Answer: One ounce of cashews has the most — 83 mg. The peanut butter is second, with 49 mg. Next is the rice, at 42 mg, and finally the broccoli, at 16 mg.
Daily needs: Men should get 400 to 420 mg and women 310 to 320 mg daily. Why it matters: Magnesium helps maintain normal muscle and nerve function, keeps heart rhythm steady, supports a healthy immune system and keeps bones strong. Magnesium also helps regulate blood sugar levels, promotes normal blood pressure and is involved in energy metabolism and protein synthesis. If you got all the answers right, you make wise choices in most situations! Congratulations! You’re doing well. Brush up on your nutrition knowledge by signing up for the #Diet Detective weekly newsletter at www.DietDetective.com. You need some help making wiser, healthier choices. Consider reading every column (they’re free at http://www.dietdetective.com/weekly-column).